Have you looked around the Vail Valley lately? Evidence is popping up all around. Being keen observers of our natural environment, we are all seeing the signs of fall coming early to trout country. From bugs and bears to brown trout and berries, the signs of an early autumn in August have arrived. What’s up with the bugs? We have seen a change in the major hatches on the Eagle River, from little stoneflies and Caddis to small Blue Wing Olives and midges. The bugs are beginning to wane. Cool overnight temperatures have brought the hazardously high temperatures of the summer back into a more acceptable zone. However, the bugs have already begun a transition into an early autumn presence. Terrestrials are keys flies to have in your box now. Ants and beetles provide a protein snack most trout will not resist. Grasshoppers scatter with each footstep through the riverside grass these days. 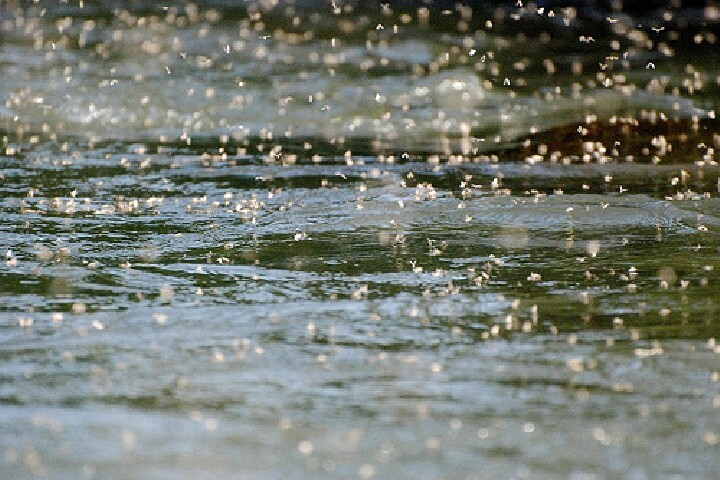 Any strong, gusty winds in the afternoon inadvertently land hoppers upon the water where trout respond rapidly to the struggling, long-legged insects. The Chubby Chernobyl is a common fly to use to suspend a dropper nymph. As a large fly with flexible legs, the Chubby imitates a stonefly or hopper with equal effectiveness. 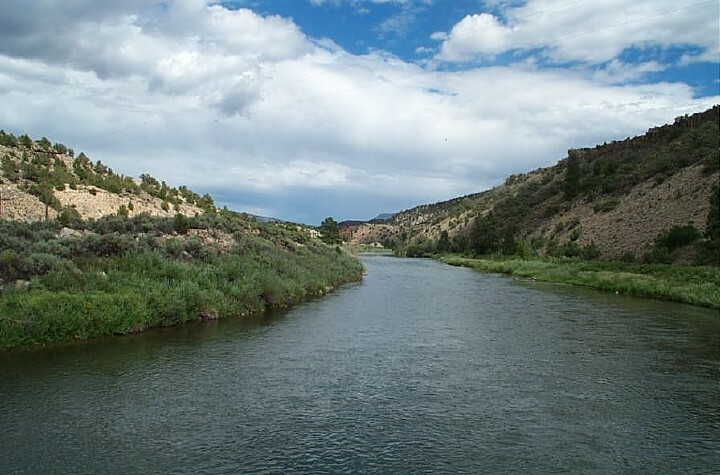 Hopper-Dropper presentations cover the current conditions on both the Eagle and Colorado Rivers. An early emergence of Tricos on the Colorado River places feeding trout on the surface sipping spinners along soft foam edges and in eddies by early afternoon, a tactic reserved more for late August coming into September rather than the first few days of August. Drowning a Trico pattern with a small micro-shot underneath a Chubby can reach hard to fool Rainbow trout that are already keyed into a food source. An obvious autumn favorite is to fish streamers. Wooly Buggers are an example of a versatile fly that can be fished in a variety of ways, dead drifting, swinging, stripping and more. Brown Trout coming into autumn are bulking up before their spawn and the long winter months by consuming smaller fish regularly. Brown trout are especially carnivorous to the point of being cannibalistic. A variety of streamer patterns are effective for exploiting this weakness. The common characteristic between them all is the inclusion of yellow in the streamer to mimic a small, brown trout. Other personal favorite streamer colors to cover the current river conditions would include black, olive, and white. A conehead for keeping the fly deep and gliding along the bottom on the retrieve has been producing recently. The Goldilocks articulated streamer comes alive when fished. This white streamer swims with an appearance of movement not easily achieved from other patterns. Work the streamers from the bank outward when float fishing. I am a firm believer in Lafontaine’s streamer tactic where he believed a wounded baitfish is too weak to swim upstream so he would commit the first few strips off the bank in a downstream direction by throwing a large downstream mend into the line therefore pulling the “wounded baitfish” in that direction. A tactic like this with a white streamer is just too good to not try. 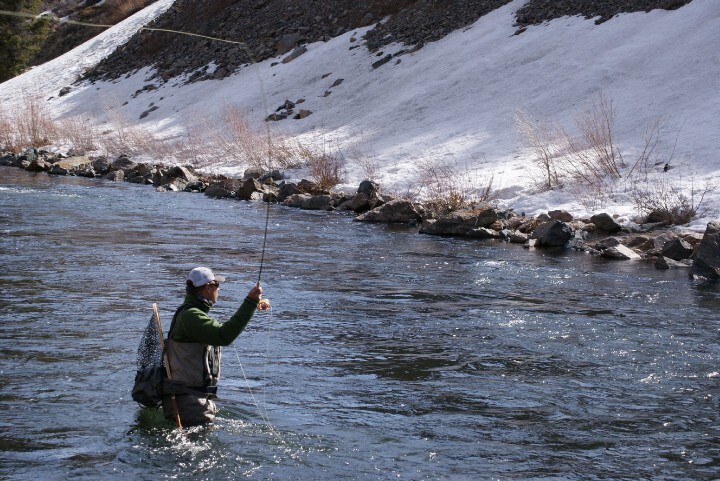 Streamer fishing is a fast paced, action filled way to cover a lot of river miles and to turn a large number of fish. And who wouldn’t like a day like that? Some of the indicators we have seen on the river, surprisingly early in the calendar year, are things like the changing of the scrub oak leaves. A few guides chatting in the boat yard recently and we both did a 360, pointing out numerous places where the leaves were in color. More expected in September, the changing of the leaves this early is certainly noticeable. Tricos, and midges, and BEARS, oh my! Other surprises have been the increased presence of bears in the riverside berry bushes. Bears are often spotted from the river, but rarely do you see multiple sightings on one morning float in late July, an observance that has happened more than once in the past two weeks. The dry climate and presence of a plentiful food source places the bears along the river in higher numbers this year. Take a look around. Do you see evidence of Autumn in August? Whether it is the emergence of midges, an aggressive brown trout, or bears in the berries – Fall is on its way, so be prepared. A handful of colorful streamers will entice some action no matter the day.